Masks provide a source of amusement but do not seem to play an important part in day-to-day Amazon life. They were once used in ceremonies which now seem forgotten for the most part. 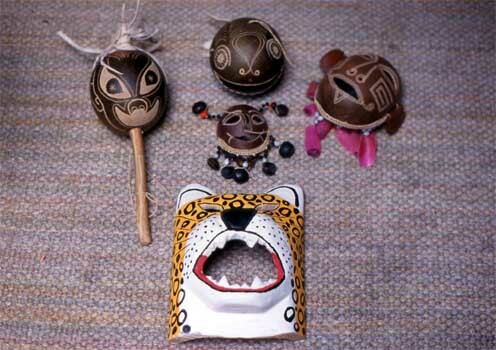 However, local craftsmen still make masks which sell readily to tourists.